Interesting, if somewhat biased biography. 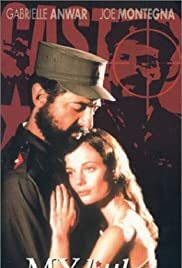 Lorenz, the supposed mistress of Cuba's Castro tells the story of her affair with the Dictator. While this is interesting stuff, what occurred to Lorenz later in her life is more so: She is quite often referred to in JFK assassination lore as confidante to Frank Sturges and acquaintance of soldier of fortune Gerry Hemmings. This movie moves along at a good pace without falling into the "soap-opera-box." and of course the rollicking song "Lawyers, Guns and Money" by Warren Zevon over the closing credits really seem to set this one apart from the usual.